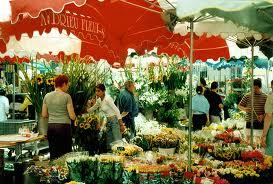 EVERY tour is guided in French AND in English by a professional guide. 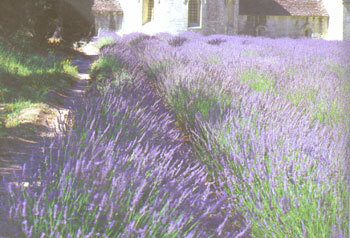 about the cultivation, distillation and properties of lavender and lavandin. 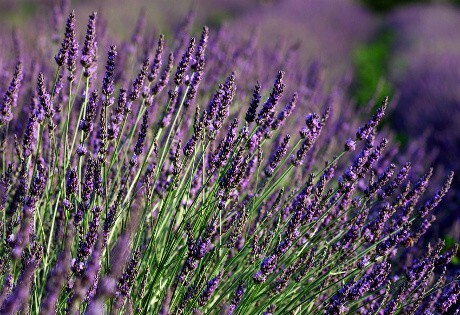 Explore the lavender road on the Plateau of Claparèdes with its numerous "bories" (typical drystoned houses) among the lavender fields in bloom. Many photo stops en route. Continue to Saignon, perched village off the beaten track, offering a breathtaking view on the Luberon hill range and the Mont Ventoux mountain. Photo stop in the fields located at the foot of the colourful village of Roussillon. Photo stop to take the picture of the unforgettable view of the hilltop village of Gordes : an extraordinary vision of a village erected on the cliff. His fortress castle and church dominate the typical houses of the village which were built with stones from the rock on which they are fitting. Lake, view on the picturesque village of Bauduen and a last stop in Sainte Croix de Verdon before going back to Aix. itinerary through the most picturesque hill top villages of Monieux (stop), St Saturnin-les-Apt (panorama), Saignon (stop, exceptional panorama). Back to Aix through the Plateau of Claparèdes with its numerous "bories" (typical dry-stoned houses) among the lavender fields. measuring 275 m – created a technical as well as an artistic masterpiece. included in one of the numerous wine cellars. Along countryside roads at the foot of Luberon, arrival in Isle-sur-Sorgue. 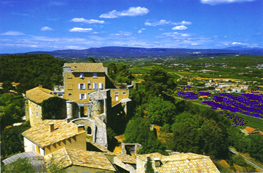 Provençal village, on top of which stands a 12th century church surrounded by century-old cedars. monuments and Van Gogh's Hospital where the painter was interned from 1889 to 1890). Cézanne from 1880 to 1883.
properties of the appellation. Lunch on your own in Aix en Provence. Lourmarin, unique road through the Luberon. 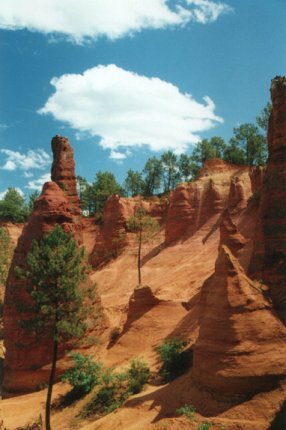 of inspiration for the famous painter Cézanne from 1880 to 1883.
limestone and argillaceous sandstone, produce high-quality vineyards. Sample these tasty, full-bodied reds with excellent structure, and these subtle and elegant rosés. Wine–tastings included in 2 wine properties of the appellation. Return to Aix along scenic roads, through the enchanting landscape of Les Alpilles. Departure for an unforgettable visit of Cassis !Free time in the charming fishermen port. Possibility to join a cruise to discover the calanques, limestone cliffs diving in the clear blue waters of the Mediterranean sea and creating natural coves (fat, rocky claws that resemble Norwegian fjords and poke out into the sea). Cruise ticket not included. There are some places you can’t help but fall in love with at first sight and Cassis is part of them ! the village (possibility of swimming). 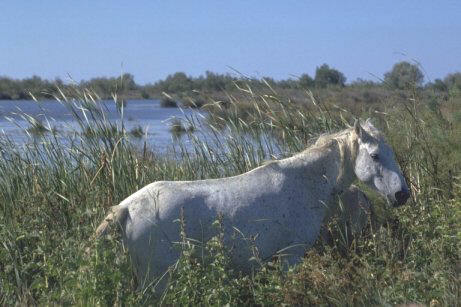  Bird sanctuary of Pont de Gau for a discovery, on foot, in between marshes and reeds of the main birds of Camargue (pink flamingos and other birds). Arles, enjoy 4 hour free time with your ticket ‘Passeport Liberté’ to discover the city on your own. Romanesque Cloister Saint-Trophime, Museum Réattu and Museum Arles antique. heritage of the town !